We would like to welcome you to Hopkinson House and are delighted to have you as a member of our community. We hope the following general information will help as you relocate to your new home. Should you have any questions, please contact the Resident Services Desk. New residents must contact the Resident Services Desk to reserve the service elevator in advance of their move date. A $200.00 non-refundable fee is to be paid with the Move-In Reservation Request. Please reserve the service elevator well in advance of your intended move date since only one move is accommodated per day. All moves are done through the loading area in the garage and the service elevator. Please inform your moving company that trucks over 12 feet in height cannot fit into the garage. Trucks over that height are required to park to the south of the 6th Street garage entrance and all belongings will have to be hand-trucked using the garage ramp. 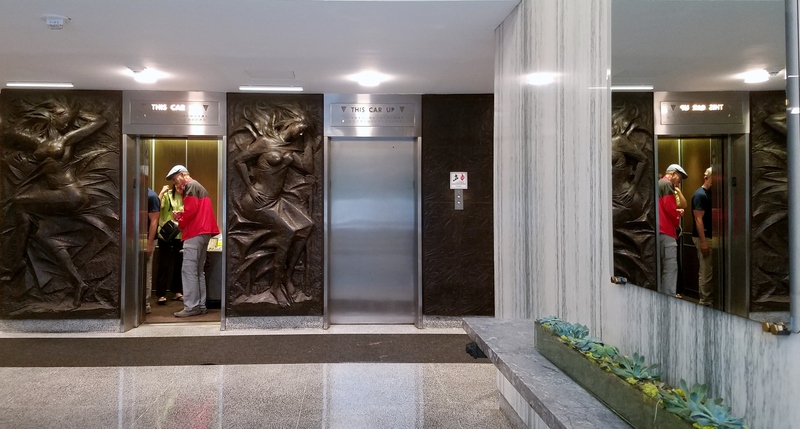 Note the dimensions of the service elevator: width: 5’9″, height: 8’4″, depth: 5′. If you need to dispose of cartons and boxes please contact the Resident Services Desk to arrange for their removal. These items may not be left in the hallway, trash room, or service elevator lobby area. The residents living in a condominium building are dependent on one another for the quiet enjoyment of their homes and for the smooth and harmonious functioning of the community. It is very important that you familiarize yourself with the Condominium Documents, Rules and Regulations, and the general policies of Hopkinson House. You should have received copies of these documents before closing on your unit or from your landlord. Procedures, forms, fees, and policies relating to apartment renovations appear in the Renovation Requirements packet (updated July 2018). The building provides heat, air conditioning, water, gas, and electricity. Cable television is also included through a bulk account with Comcast. This service includes over 100 channels of TV programming, 46 music channels and 8 HBO channels. Also included are 2 remotes and 2 digital converter boxes per unit. This type of bulk subscription is different from a conventional residential subscriber account. Therefore, residents of Hopkinson House need to use a special telephone number to contact Comcast for all account servicing. Additional channels and levels of cable service are available directly from Comcast. Telephone and Internet services are also available from Comcast or through Verizon Communications. Please contact the company of your choice directly about arranging for those services. The Association has a Master Insurance Policy through Lindsay Insurance Group, Inc. This insurance policy provides coverage for the building and common elements. However, since the building coverage is limited under the Association Master Insurance Policy and Unit Owners Policy, each unit owner should have a Unit Owners (HO-6) insurance policy to cover their unit and their liability. Please refer to the condominium declaration for a description of the individual unit. On each floor next to the service elevator is a room for trash and recycling disposal. The chute for regular, bagged trash runs from the top floor to the garage. It is important that residents do not dispose of any materials that can cause a blockage in the trash chute. Please place recyclables in the appropriate containers. All of the hallways, stairwells, lobby, garage and elevators are common property. No personal belongings should be left, stored or displayed in any of these areas. No shoes, umbrellas, trash, bicycles, strollers or other personal property is to be left in the hallways. Nothing should ever be attached to any part of the hallway walls. There are closets located on each floor to house cable TV and maintenance equipment. Residents are not permitted to use the closets for storage or for any other reason. Balconies should be cleaned only with a vacuum or damp mop or broom and cleaned in such a manner as to prevent water or debris falling onto lower levels. No trash or debris may be shaken or thrown from any balcony. The use of any type of grill anywhere on the property, including the balconies is strictly prohibited. Living in a condominium is not the same as living in a single-family home. The close proximity of your neighbors requires a high level of consideration so that we all can enjoy our homes peacefully. Please be mindful of activities that will transmit sounds through the floors and keep your television and stereo at a level which will not travel through walls and floors. Please keep voices at a reasonable level, especially in the hallways. Tips: If the fire alarm sounds, leave at once. Close doors behind you. Proceed into the “Fire Exit” and remain on the landing or the steps until you are given instructions by the Fire Department or the Building Fire Marshal. DO NOT USE ELEVATORS. BE SURE THAT THE FIRE EXIT DOORS ARE CLOSED AT ALL TIMES SO THAT SMOKE CANNOT ENTER THE STAIRWAY. 1. Bike Room Storage at $36.00 per bike, plus a $25.00 deposit for a key to the new Bike Room, limited to two bikes per unit and subject to capacity. If you wish to store your bike in the new Bike Room, please complete and return the Bicycle Registration and Agreement with appropriate payment to the Resident Services Desk. 2. Apartment Storage within your residential unit at no cost to you. HHOA reserves the option of requiring you to transport your bike to and from our apartment via the freight elevator. As a reminder, if the monthly maintenance fees are more than two months in arrears, the delinquent owner(s) is turned over to the Association’s attorney for collection and the unit owner(s) becomes responsible for the attorney’s fees which currently start at $300. Continued legal action creates higher attorney fees which are the responsibility of the unit owner(s). The cost to the unit owner for failing to pay on time is significant. Delinquency Policy: All Association fees are due on the first day of each month without prior written notice. Any unit for which an Association fee payment has not been received by the close of business on the fifth business day of any and each month shall be recorded as delinquent and a late charge of $50.00 shall be assessed against the unit. Any unit for which an Association fee has not been received within 30 days of the due date shall be assessed an additional 1½% interest per month on the unpaid balance. The ability to directly elect neighbors (or to run yourself) to help in governing the association, giving you a voice in how decisions are made. The sharing of costs for utilities and maintaining the building and common areas. The maintaining of community standards which help protect the value of your home. Most of what you will need to know about the Association is contained in the condominium documents you were given prior to your closing or provided to you by your landlord. CAMCO is the management company for Hopkinson House. CAMCO works closely with the Association Council to oversee the day-to-day operations and management of Hopkinson House. The Annual Association Meeting takes place every April and the Annual Budget Meeting is held every December. All owners are urged to attend both meetings as these are where many issues important to the running of Hopkinson House are presented and discussed. Owners will receive written notice of the dates and times of both meetings. We are proud of our building and we solicit your help and expertise in making it an even better place to live. Please consider volunteering your talents to help the Council in managing the activities of the Association. The Association Council welcomes you to our building and our community. We hope that you will be happy here and will work with us in continuing to improve our living environment. 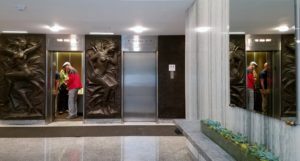 In choosing to live at Hopkinson House, you have selected one of the finest condominiums in the City of Philadelphia. Best wishes to you in your new home.